Tell us the name of the happy couple as you wish it to appear. Example: Mr & Mrs Smith. You can also change Love Street if you like to the name of the street where the couple live. 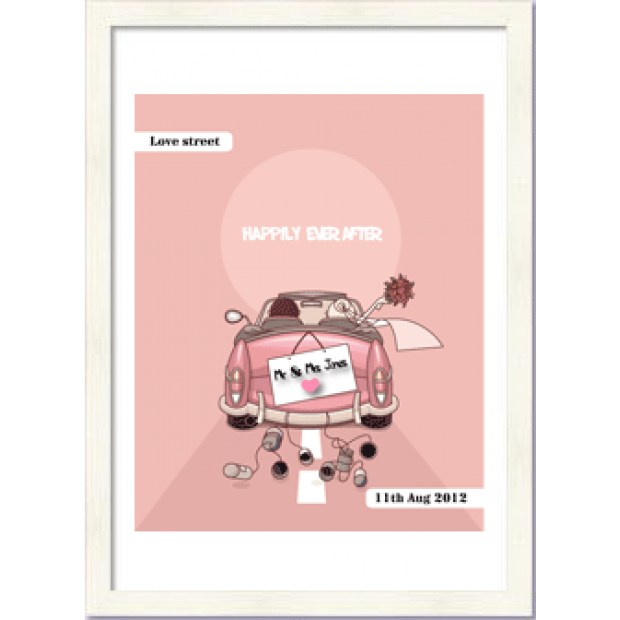 A modern quirky print, perfect to personalise with names and date. An 8 x 10 glossy print. 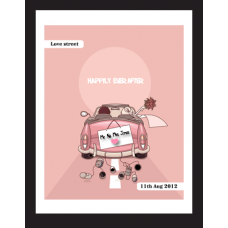 The 11 x 14 inch frame in a choice of black or white and a neutral coloured mount are included. An ideal wedding gift - personalised for the happy couple.